Proposed plans for paid paternity leave are creating a lot of buzz in the National arena these days. The United States is the only developed country without a national paid parental leave law in a global arena whose average maternity leave lasts 18 weeks. Paid leave is guaranteed for mothers in 178 countries. The United states is not one of them. As the national focus for better maternity leave continues to grow, more and more companies are also lobbying for paid paternity leave. One company is raising financial support for fathers who don’t have access to paid paternity leave. 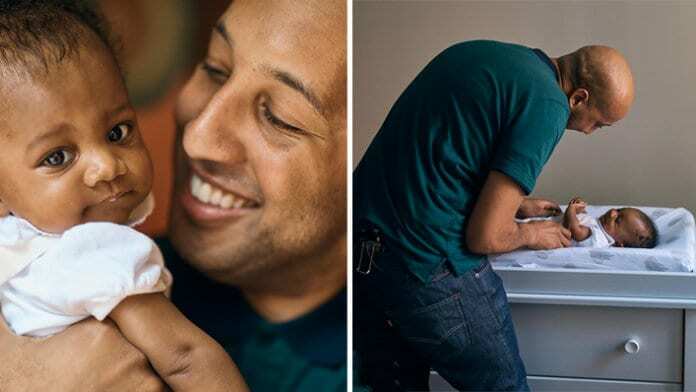 Dove started a campaign to raise over $1 million for what they’re calling the Paternity Leave Fund, which is their “commitment to fund paid paternity leave for real dads across the country over the next two years,” according to their website. Only 15 percent of dads in the U.S. have paid leave to bond with their newborn. Dove wants to change that. The fund will provide fathers across America who do not have access to paternity leave with $5,000 grants so they can take the time they need to be home with their new children. Then they’ll be asked to respond to several questions about the current paternity leave offered by their employer, how the grant would help them, and what it means to be a “caring dad,” among other questions. In the last year, several other big U.S. companies have gotten on board with expanding or creating new family leave policies including Starbucks, Walmart, Lowes, Dollar General and CVS. Many of the new policies are specifically geared toward working dads, and bringing us one step closer to better paid leave for the entire family. Paid paternity leave in the U.S. is a long-term goal. But we all have a voice right now, and a say in the standard for paid family leave policy. For more information, visit Dove’s website.